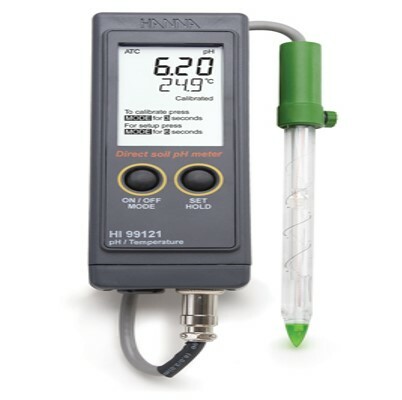 Contact us now for a quote and we can usually deliver a portable pH meter to you within 3 days! The pH-SOIL Sensor and Meter has a pH electrode that is specifically designed to measure pH in soils. The log-on-demand feature allows users to store up to 300 samples (depending on model) that can be later transferred to a PC with the supplied USB cable and software. All pH measurements are automatically corrected for temperature variations with the inbuilt temperature sensor. The pH-LC is an easy-to-use, affordable, yet accurate pH meter that is ideal for students and teaching. buffer and overall probe condition. Sensors are easily cleaned and can be individually replaced at any time. Replacement sensors are available from Edaphic Scientific. 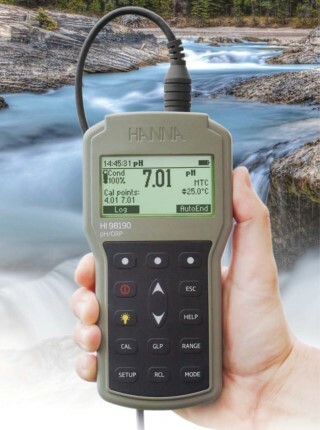 IP67 environmental protection rated waterproof hand held meter means you will not damage the Portable pH Meter in the field. Transport the Portable ph Meter in a rugged carrying case. The units are powered from 4 x AA batteries for up to 200 hours of battery life. Note: precise specifications vary slightly depending on model. Contact Edaphic Scientific for more details.